Mr. Phạm Quốc Lộc com­ple­ted his doc­to­ral pro­gram in Comparative Literature at the University of Massachusetts Amherst in May 2011. He is cur­rently a faculty member of the General Education Program, Hoa Sen University. His research inte­rests include post­struc­tu­ra­list trans­la­tion theo­ries, gender theo­ries, post­co­lo­nial stu­dies, decons­truc­tion, and cultu­ral stu­dies. 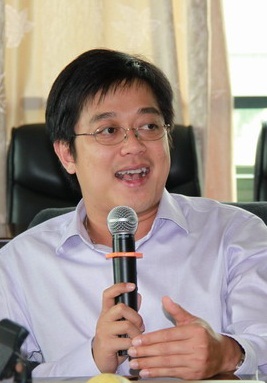 Mr. Phạm has par­ti­ci­pa­ted in inter­na­tio­nal work­shops and confe­ren­ces on trans­la­tion theo­ries. His essay on the impli­ca­tion of trans­la­tion in homo­sexua­lity has been accep­ted for a St. Jerome for­th­co­ming volume entit­led Re-engen­de­ring Translation, edited by Professor Christopher Larkosh from the University of Massachusetts Dartmouth.